Famed Parisian patisserie Ladurée is known worldwide for its divinely delicious. sweet French sensual treats made in vibrant, intoxicating colors. Simply stated, these macarons are a feast for the eyes, tongue and amygdalae. On Thursday, Ladurée in will lauch a new exclusive-to-Los-Angeles macaron flavor containing hemp. Let no one crack any hemp jokes. In fact, I have hemp protein powder in the cupboard and once had a love affair with hemp waffles. To clarify, writes THR, since marijuana bias has caused a lot of confusion, hemp is a variety of the cannabis plant with trace levels of THC, the main psychoactive element in marijuana, that’s been touted in some circles as a superfood rich in protein, magnesium and omega-3 and -6. And no, it won’t make you high. 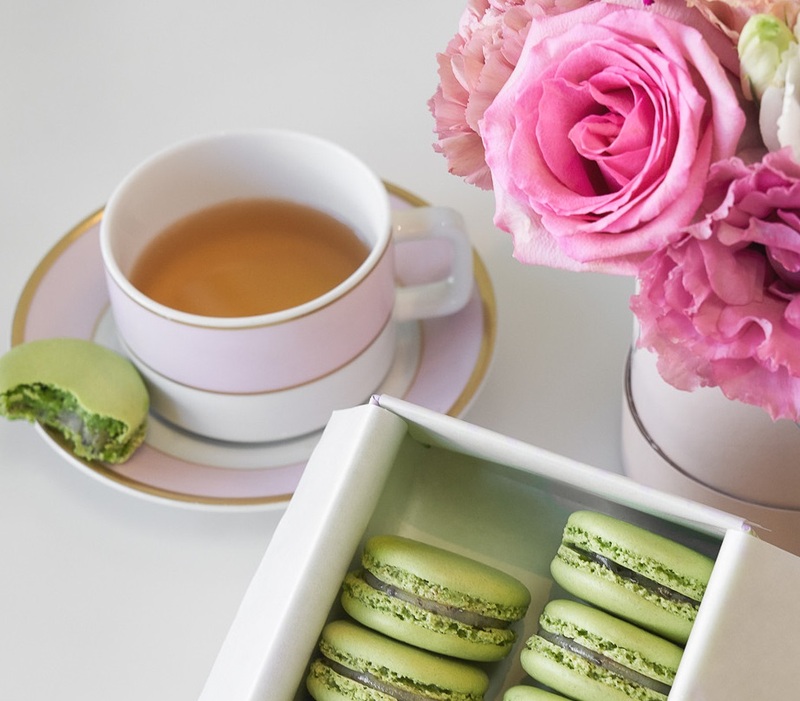 But at this week’s private launch party for influencers, Ladurée will serve tastings of the new L.A. hemp macaron at a “high tea” in its Beverly Hills salon, where tea will be infused with CBD oil from design-wise L.A. cannabis dispensary The Pottery. Canada has been growing hemp for 20 years. Great Britain legalized industrial hemp in 1993, Germany in 1996. And now -- let the trumpets blare -- the US government finally legalized industrial hemp in June 2018. Many believe that hemp has a a key role in the topic of sustainability in the fashion industry. Take a read of this 2017 article: A Guide To Hemp: The Miracle Crop that Could Be the Future of Fashion!